QUANG BINH — One-hundred and three kachnar trees, an endemic species in Viet Nam's northern mountainous region, have been planted around the tomb of General Vo Nguyen Giap in the central Quang Binh Province. 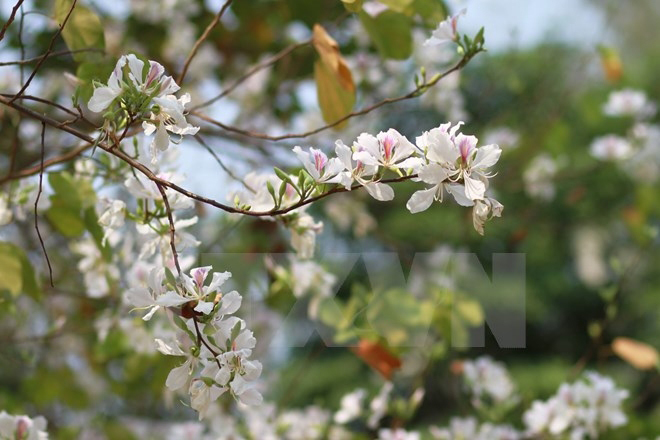 The tree, scientifically known as Bauhinia variegata and called hoa ban trang in Vietnamese, had a close connection with the Dien Bien Phu Victory in 1954 that was led by General Giap. Officials from Dien Bien Province selected the trees from the northern locality and brought them to the general's home state, the central Quang Binh Province, to plant them at the site, together with Quang Binh officials and the general's family members. In addition to the attempt to plant greenery around the general's final resting place, the trees honoured his great contribution to the 1954 victory, Chairman of Dien Bien People's Committee Mua A Son said.